Amid fears for his safety, Abdullahi Dool, a senior Somali diplomat who was fired last month for publicly advocating the establishment of formal relations with Israel, was forced to flee his country. He longs to return to his native country, but undeterred by the end of his career and ongoing online abuse from pro-Palestinian forces back at home, he continues to call vocally for stronger ties between Jerusalem and Mogadishu — and demands an apology for his dismissal. “I am a staunch supporter of my country establishing diplomatic ties with Israel. I know many people who are in favor of this move. Like myself they wonder why it has taken this long,” the 59-year-old former diplomat told The Times of Israel in an exclusive interview this week. 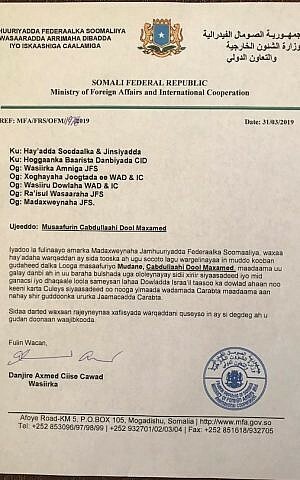 Israel has “immense influence in the region and throughout the world,” added Dool, who until late March served as the director of the Somali foreign minister’s office. Israel and Somalia — a Muslim nation located in the Horn of Africa — have never had diplomatic relations, though Prime Minister Benjamin Netanyahu secretly met then-president Hassan Sheik Mohamud in 2016. The Jewish state has in recent years increased its outreach to African Muslim-majority states, many of which are interested in Israel’s expertise in fighting Islamic terrorism, a challenge Somalia is very familiar with. Dool doomed his long diplomatic career last month with two tweets he posted after Somalia unexpectedly abstained on a UN Human Rights Council resolution about Israel’s occupation of the Golan Heights. The abstention raised eyebrows as it was believed to have been the first time a member state of the Arab League forewent an opportunity to condemn the Jewish state in a major international forum. 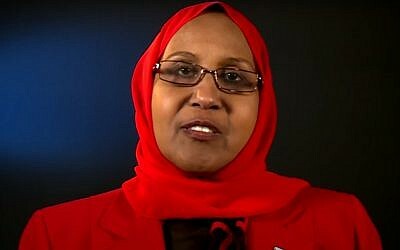 Somalia’s ambassador to the UN in Geneva, Faduma Abdullahi Mohamud, was immediately recalled (though a Somali official, speaking on condition of anonymity, told The Times of Israel this week that she managed to convince her bosses that the abstention was a mistake, and that she has since returned to her post). But Dool saw the unusual move as an opportunity to air his views about the imperative for ties with Israel. “It is long overdue. Establishing diplomatic relations does not harm anyone but promote peace and cooperation,” he tweeted. Two days later, Somali Foreign Minister Ahmed Isse Awad fired Dool, who had entered the Somali foreign service in 1983. 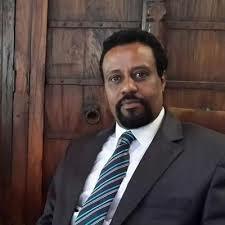 On the some day, Abdinur Mohamed, a spokesman for President Mohamed Abdullahi Mohamed, took to Twitterto declare that as long as Israel holds on to to “Muslim lands” and Jerusalem and continues to deny Palestinians their rights, Somalia will never have diplomatic relations with Israel. Anyone who says otherwise, the tweet continued, cannot work for the Somali government. “I did not go into exile but my safety and security in my homeland has been seriously undermined by the publicity generated by my dismissal,” he said. The harsh reaction to his tweets greatly surprised him, since he noted on his profile that he was writing in a personal capacity, Dool said. As surprised as he was about having gotten the ax, he still would have written what he did even had he known in advance what would ensue — “because these are my convictions,” he said. “I believe I am owed an apology,” he added. Dool was born in 1960 in Beletwyne, near the Somali-Ethiopian border. 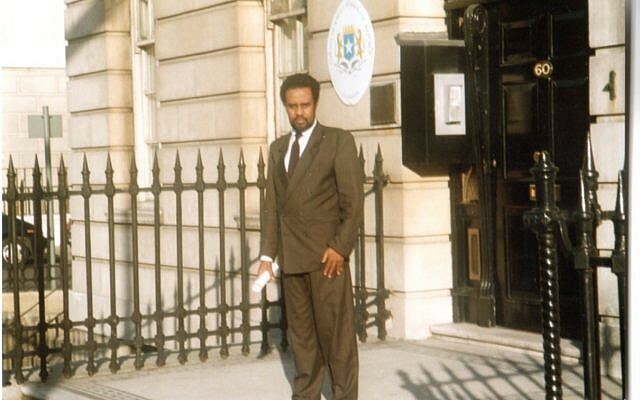 After attending university in India, he joined the Foreign Ministry in Mogadishu and served in Kuwait and London. After a civil war broke out in his country he quit the UK embassy but remained in London to work as a private consultant. Nearly 20 years later, in 2011, he returned to Somalia, where he served as deputy energy minister before taking up various senior posts in the Foreign Ministry. Back in still-volatile Mogadishu, he survived three bombings, one of which broke his left collar bone. But despite the ongoing violence and the abrupt end to his diplomatic career due to two tweets, which he deleted soon after posting, Dool remains fiercely patriotic. He even refused to criticized the people responsible for his unceremonious dismissal. Dool did, however, level harsh criticism against Mohamed, the president’s spokesperson, who had declared that no official who calls for ties with Israel could continue serving. 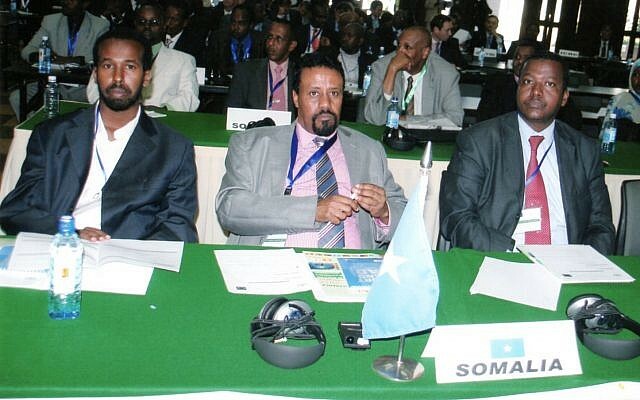 Dool said the Somali president and prime minister should “not allow such misconduct” in their government. While Somalia is and will always remain part of the Arab world, Dool declared, that should not prevent it from establishing formal relations with Israel. “There are over 20 Muslim countries that have diplomatic ties with Israel… There is absolutely no reason why Somalia too should not establish diplomatic ties with Israel,” he said. It’s a message Dool continues to spread on his Twitter account, where he also celebrated Israel’s effort to land a spacecraft on the moon. 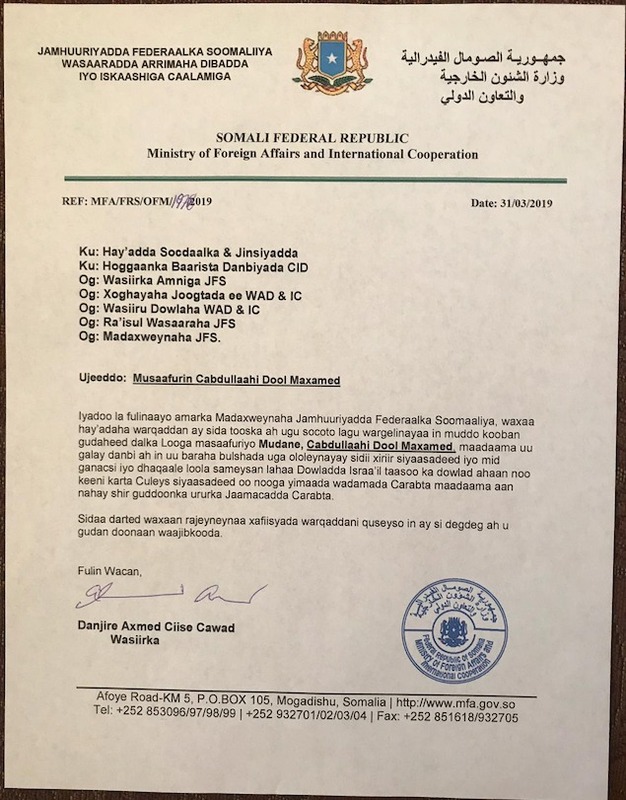 Your next shot will be to call for Somalia to pull out from the Arab League, which will be a breach to it’s convention if Somalia’s recognition of Israel will take place. Foreign Service is about opening doors not closing down any. There are those who see the world in black or white. But there are 620 colors. I am wondering how reaching out to one nation can mean shunning another. Somalia must forge ties with all nations! How can one twist this? #Israel has taken a great step to send a #spacecraft to the moon but a small setback on its landing. The next space craft will make it safely to the moon. Kudos to #Israel. “If you didn’t succeed the first step try again” by BN. Continuing to shun Israel will not help the Palestinians even one bit, Dool said, though in the interview — as opposed to his tweets — he refrained from calling them names. “I wish the Palestinians well. My personal views on the Palestinians are in line with the national position of my country. They include a two-state solution where the two nations live side by side in peace and harmony,” with East Jerusalem as the Palestinian capital and West Jerusalem as Israel’s capital, he said.